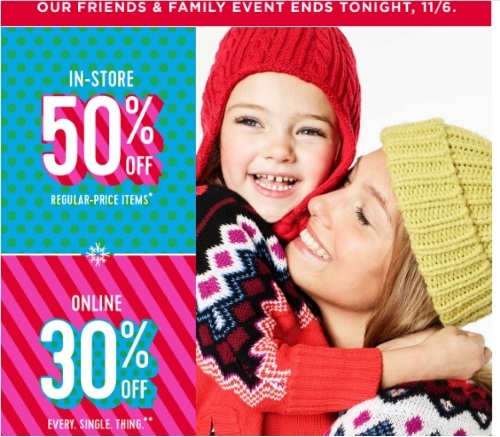 Old Navy has a Friends & Family Event on now! Save 50% off on regularly prced tems in-store and 30% off everything online! Offer ends Sunday, November 6, 2016. Look for your special promo code in your email, there is no generic code for this one. I will post some codes below (these are one-time use, so if it doesn't work for you, try the next one).